Immigrants have contributed GBP 25 billion (USD 40 billion, EUR billion) more to the British state over the last decade than they have taken out in welfare payments, according to a study published on Monday, cites LETA/AFP. The report by University College London found that foreigners had made a "consistently positive and remarkably strong" contribution to state coffers from 2001 to 2011 – particularly Europeans who arrived within the decade, the AFP news agency reports. 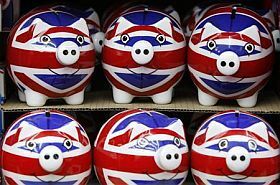 Over the same period, native Britons took GBP 624 billion more from the state than they contributed, according to the study, while recent immigrants were less likely to claim handouts or live in social housing. Professor Christian Dustmann, one of the authors, said the figures put paid to claims of "benefit tourism" by European immigrants –- a popular theme amongst right-leaning newspapers. "In contrast with most other European countries, the UK attracts highly educated and skilled immigrants from within the EEA as well as from outside," he said. People from the European Economic Area (EAA – the EU plus Norway, Iceland and Liechtenstein) contributed a third more in taxes than they received in benefits over the decade, while those from outside the bloc made a two percent net contribution, the research found. But non-European migrants claimed more in benefits than they paid in taxes between 1995 and 2011 – mainly because they tended to have more children than British families. The study also found migrants who had arrived from the EAA in the last decade were more educated than the wider British population, with nearly a third having university degrees compared to a fifth of Britons. Andrew Green, of the anti-immigration campaign group Migrationwatch UK, accepted that EU citizens make an overall contribution, but said this was because their numbers include highly-skilled workers such as "German engineers (and) French fashion designers". But he told BBC radio the report had "been spun". He said: "The verdict for non-EU is that the benefit to the Exchequer is minimal or negative." A separate study published on Tuesday by Britain's National Institute of Economic and Social Research found that British companies hire foreigners because they are better qualified and work longer hours.